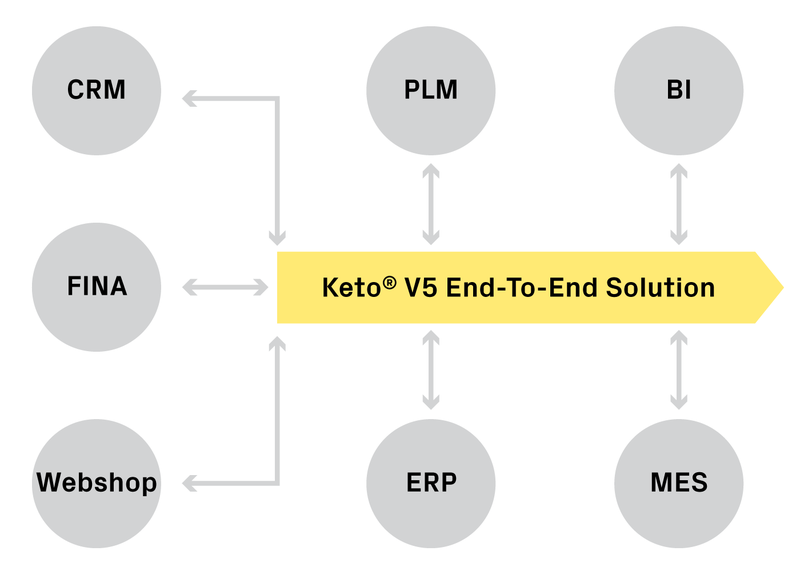 The Keto Platform is a modern software that is easily integrated with other systems. It can be integrated with enterprise systems such as SAP, document management systems such as MS Sharepoint, PDM systems, financial management systems such as Workday, Xero, Procountor and Visma, and many commonly used applications such as Jira, all based on your needs. Data flows in both directions.